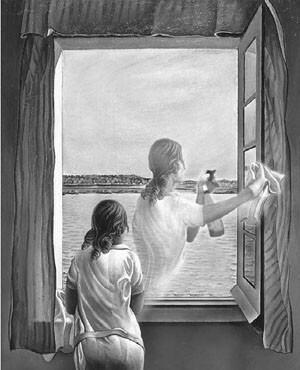 This poem describes the picture as to what I think the picture tries to depict. Why I am in dilemma, I just can't decide"
Should she do the expected chores? And beside would have stood her proud kins"
Jane would not let little Mary be her vice.